I’m not sure who enjoys the homemade slime more, but it’s become an addiction in our home. We love making different colors for some festive fun. The children love to gather all the material before starting. They think it’s so FUN to make as well as play with for hours! A lot of the time, they just love the texture and feel of the homemade slime while reading or watching TV. I usually double the recipe because I love to play with it too. I’m one of those sensory persons that loves to play with it while I’m working on the computer. 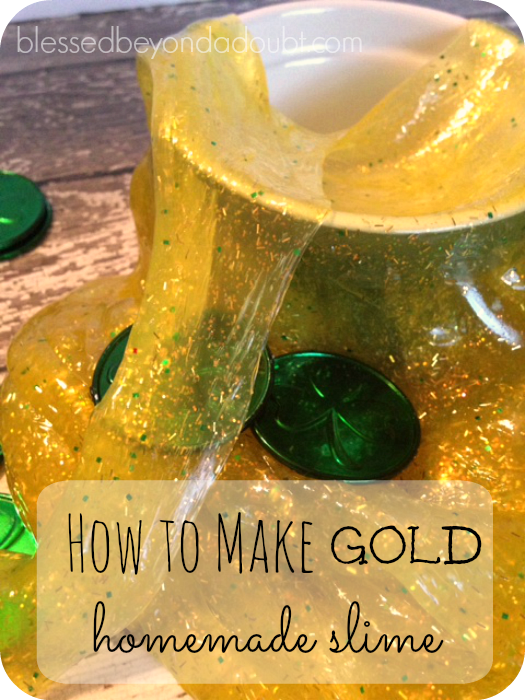 We decided to make gold slime for St. Patrick’s Day. After experimenting with the homemade slime, I found that if you add the glue first and slowly add the liquid starch it seems to form into a slime consistency quicker, but it forms both ways. I’m sure it has to do with the climate and moisture in the air. We store our slime in a zip locked baggie and it lasts for weeks. 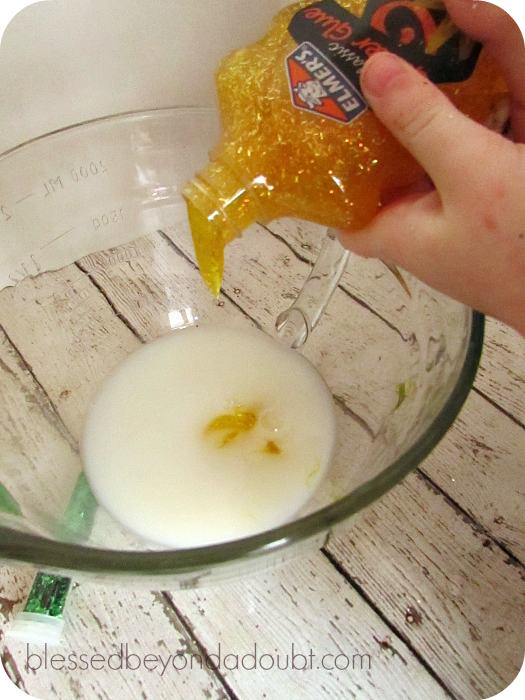 Homemade slime makes FUN birthday gifts, too. 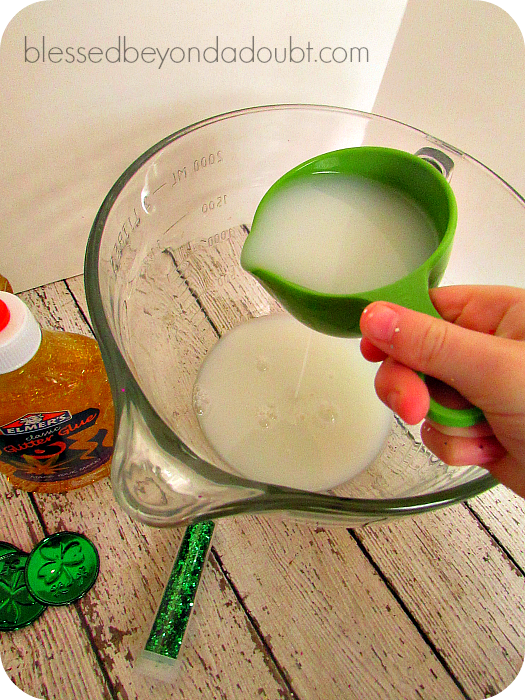 You can purchase the ingredients and print out how to make homemade slime and have them enjoy making the homemade slime at home. Kids love sensory activities. 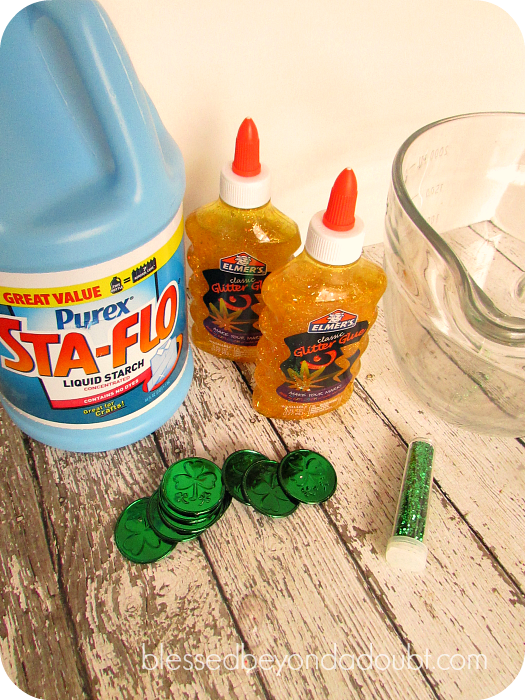 Be sure to check out how to make St. Patrick’s day playdough, how to teach the colors of the rainbow, and this fun St. Patrick’s Day preschool pack.